Manure-smoked whale testicle beer anyone? 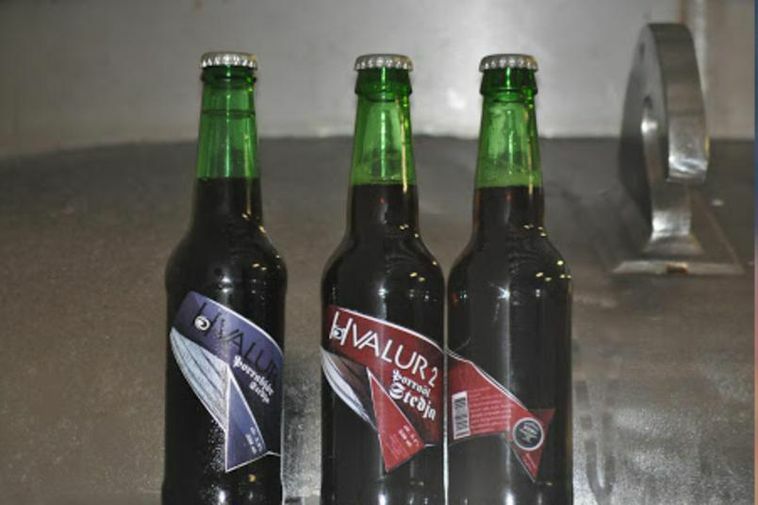 Icelandic microbrewery Steðji is producing a new beer, Hvalur 2, for the winter month of Þorri. The beer is flavoured with the testicle of fin whales who, according to old Icelandic traditions have been salted and then smoked using horse manure. According to the Steðji website, a whole testicle is used for each brewing. Hvalur 1 (Whale 1), the first whale testicle beer produced by Steðji last year enjoyed such popularity that the brewery decided to come out with a new and even better version for this year's þorri, which is the old Icelandic winter month which spans from mid-January to mid-February. Icelanders lke to go to festivities called Þorrablót during this month which is associated with eating traditional Icelandic food such as putrefied shark, ram's testicles, sheep's heads and blood pudding. The sale of Hvalur 2 will commence just in time to accompany these delicacies, on January 23rd.